CAS is thrilled to announce that Donna Schilke, award-winning administrator and recently retired principal of Smith Middle School in Glastonbury, has joined the central office staff as assistant executive director. 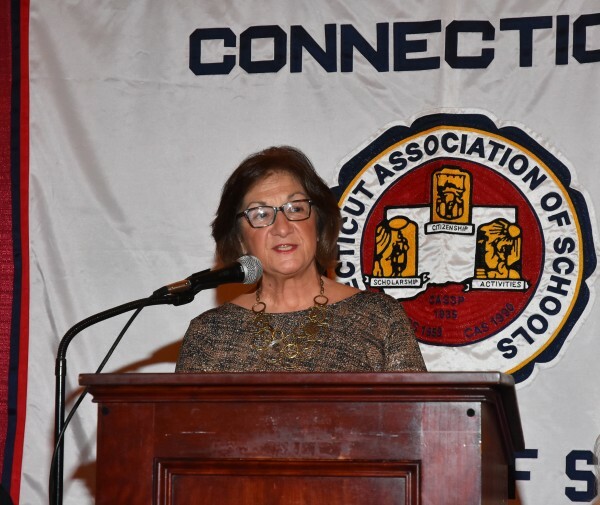 Donna will lead CAS’ middle level division, taking the reins from Earle Bidwell who retired last month after seventeen years as a visionary leader and tireless advocate for Connecticut’s middle level schools. Donna began serving the Glastonbury public schools in 1989 as a special education teacher at Gideon Welles School and Smith Middle School (SMS). In 2002, she was appointed assistant principal of SMS; and, in 2006, after one year as the district’s director of special education, she became SMS’ principal, remaining in that position until her retirement last month. Under Donna’s leadership, SMS garnered numerous awards and honors, including the Connecticut Association of Schools’ Arthur Director Student Leadership Award, the University of Connecticut’s Neag School of Education’s Outstanding Professional Development School designation and the U.S. Department of Education’s prestigious National Blue Ribbon School recognition. Donna became active in CAS in 2002 as a member of the Assistant Principals Committee. She was immediately tapped for several important leadership roles and ultimately ascended to the CAS Presidency in 2014. That year alone, she was an active member of seven committees and boards and also served as a UCAPP mentor.